Jack Kirby's Fourth World! Commission Piece! Here is a commission piece I did recently for a fan. 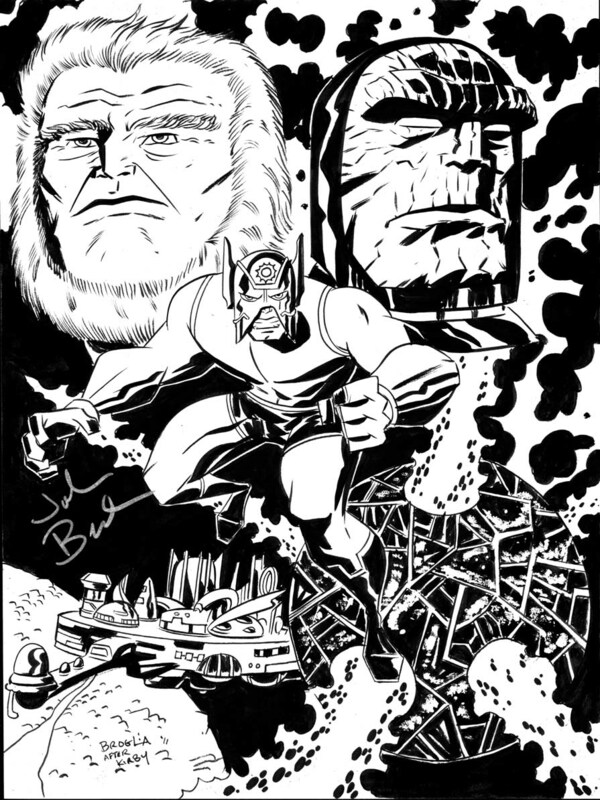 Jack Kirby's Fourth World characters Orion, High Father and Darkseid. Never had the opportunity to draw these characters before but I had so much fun I'd love to do it again! 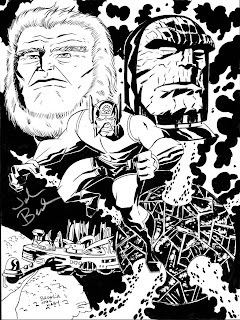 If you are interested in an original one of a kind commission from me contact me via facebook or email me at jpbroglia@aol.com! Ok, not sure if you've noticed but the Connor Kent version of Superboy has been everywhere, from an episode of Smallville to a continuing role on the CN's Young Justice and even a brand spanking new comic series. So when I decided to take a little sketch break the other night I couldn't help but take a shot at Superboy. 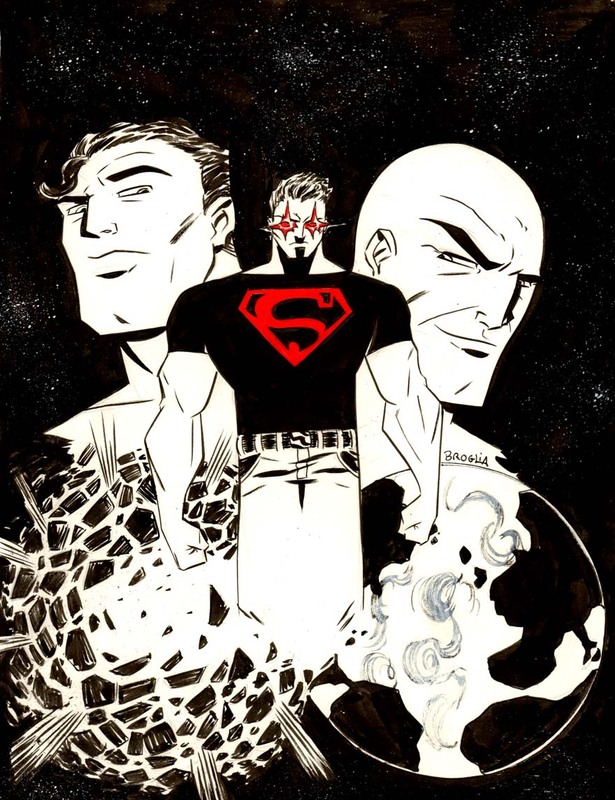 I wanted the drawing, done on 9X12 Vellum, to tell a story, mainly how Connor, a clone of both Superman and Lex is torn between two very different personalities and worlds. 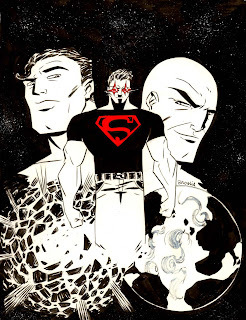 (Notice Superman's wearyness and Lex's sinister stare). Check it out!